Keeping the interior and exterior of your vehicle in pristine condition increases its value at time of resale. Adding high quality, properly applied SunTek window tints help you maintain that value by protecting the interior of your car. That is not its only benefit, though! Window tinting will protect your interior from the sun but it will also protect any valuables that you leave in your car from prying eyes. It is also acts as a sunblock, giving your skin some level of protection from harmful UV rays. We know that many drivers in Connecticut have long commutes and baking your skin under the glare of the sun can be harmful to your health. The glare of the sun can be curtailed with SunTek window tinting, offering you more UV protection than factory tinting. Another benefit of SunTek window tinting is their warranties. With five levels of quality, SunTek offers window tint from CXP® to Standard with warranties that span three years for Standard SunTek film, and a lifetime warranty for the High Performance film. Infinity®, Carbon®, and CXP® films have a lifetime manufacturer’s warranty that includes fading. This is another benefit of applying SunTek window tints to the windows of your vehicle as opposed to other brands. All SunTek products offer 99% UV rejection giving you the highest level of protection to protect your vehicle’s interior and you, as well. Available in a hybrid, dyed metal variant, all metal or carbon construction, SunTek window tints offer reflective and non-reflective finishes in various colors. Depending on your vehicle, its use and your budget SunTek makes a window tint that will suit you and your vehicle. Even the best of products will not do well if applied improperly. At M&M Auto Detailing our first order of business is to do the best job for you that is humanly possible. When applying window tints we use single sheets that are micro edged perfectly. We even take it further than that and move any obstructions so that each piece of glass in your vehicle is fully covered with window tint. In doing so we give you a smooth, quality install when using SunTek window tints on your car, truck or SUV. With over 15 years in the business we have provided service to vehicle owners in Vernon, Hartford, Glastonbury and all points in between. 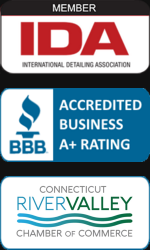 We are Connecticut’s professionals when it comes to car detailing and window tinting. Let us find the right SunTek window tint for your car. It will keep you cooler in the summer and prevent the sun from baking the interior of your vehicle. Like the way you have shared about the car window tinting. As, I was looking for such tips and tricks about how I can I protect my car and increase its value, and I just read your post and got important ideas for maintaining our cars. I am sure, it would be useful to many others too…!! Nice efforts 🙂 Keep updating such new thoughts with us like this.